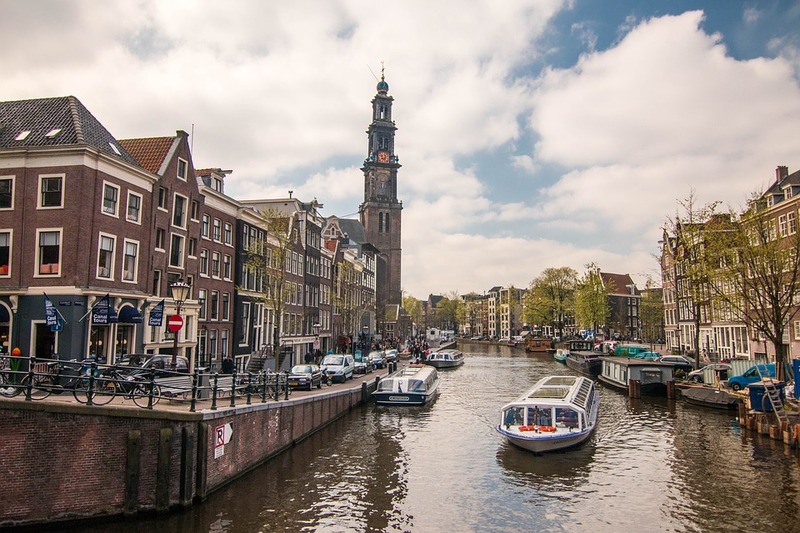 You might not think 48 hours in Amsterdam is enough time, and yes, if you want to truly acclimate yourself to the city and their customs while seeing all the marvelous attractions it has to offer …. 48 hours might not be enough. BUT, if it’s all the time you have to spare, book your tickets and go because there is so much you can check off your bucket list in those brief 2 days….and I guarantee you will not regret it. If you are going to pull the trigger, I suggest flying in for a weekend so that you optimize the positive vibes and good energy in which the city draws out of all its inhabitants and visitors. When booking your flight, it is a good idea to look into the earliest possible arrival times at Schiphol Airport (Amsterdam’s international airport) in order to take full advantage of your time. The airport is pretty close to Central Amsterdam, around 22 min by car or about 35-40 minutes via public transport. When deciding where to stay, it is first most important to think about your budget. How much will you want to spend on the flight? Lodging? Food? Activities? Regardless, it’s important have a plan when it comes to budgeting for your trip. The great thing about Amsterdam is that if you want to spend a decent amount of money on a hotel or Airbnb, you totally can! However, if that isn’t necessarily in the cards for you, fear not! 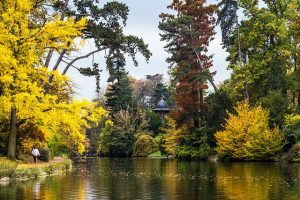 There are many decent and inexpensive options to explore in and around the city, you just need to do a little research to find what suits you best! Rent Bikes! 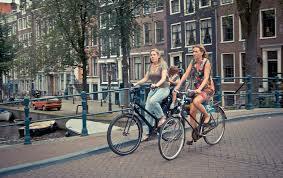 Amsterdam is regarded as the city of bikes and as soon as you arrive, you will understand. 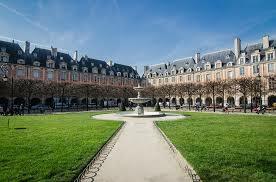 Not only is biking a great way to see the lively architecture that decorates the city, you also get some exercise! Be sure to ask wherever it is you’re staying if they have bikes, have discounts to local rental shops, or suggestions for the best place to rent. That will make navigating how to find them a little easier, although there are rental shops ALL over the city. For lunch, I suggest keeping it short and sweet in order to delve into as much as possible. 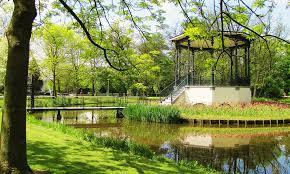 Grab a sandwich at any café (I suggest going to Dam Square or Liedersplein) and then head to Vondelpark. Here you can find a spot to sit and enjoy your meal while also observing Amsterdam’s natural beauty. There are also a ton of vendors in the park, so if you just want to head there and grab a street waffle, hotdog etc. with a cold Heineken, that is also an option! After lunch, I suggest biking over to the Amsterdam museum to learn about the city and how its evolved in the last 800 years! This is a fun way to get your history lesson in. If you want to be prepared, you can order tickets ahead of time online, but you can also get them the day of at the museum. If you are someone who likes to make plans as you go, head over to the Jordaan district next. Here you will find lots of trendy shops and hip eateries with a range of cuisines. Personally, I made never made reservations and I didn’t wait more than 5 minutes for a table. 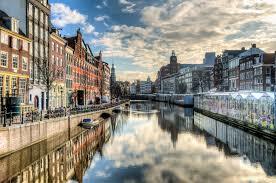 Viewing the city via the canals is another MUST do. There are canal tours at all times of the day, however I recommend going at night to see all the lights of the city and enjoy the atmosphere. It is spectacular. There are all sorts of tours you can do so I suggest finding one that works with your budget. I also recommend you book the tour ahead of time and online. Now that you have spent time exploring Amsterdam, spend the better half of your morning exploring areas that might have sparked your interest from the day before. After this, consider spending a majority of your day at the marvelous museums the city has to offer. Start with the Anne Frank House. 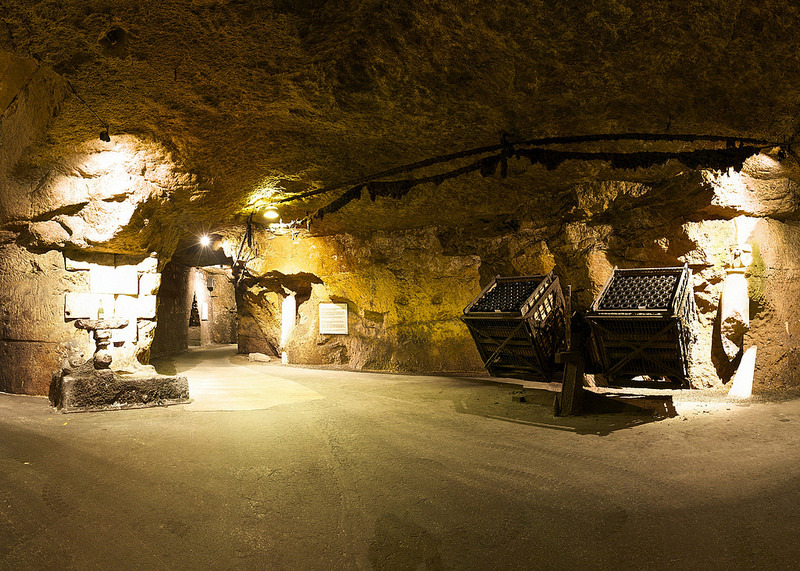 The only way you can view this historic site is by purchasing tickets online, so be sure to do that! 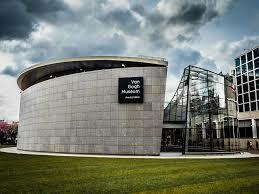 Another site worth visiting is the Van Gogh Museum, which is dedicated to none other than Vincent Van Gogh. You do not need to purchase tickets prior to visiting. 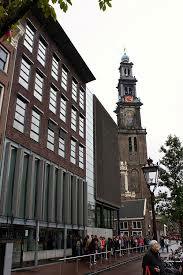 Another museum worth checking out is the Moco Museum, which is conveniently located next to the Van Gogh Museum. 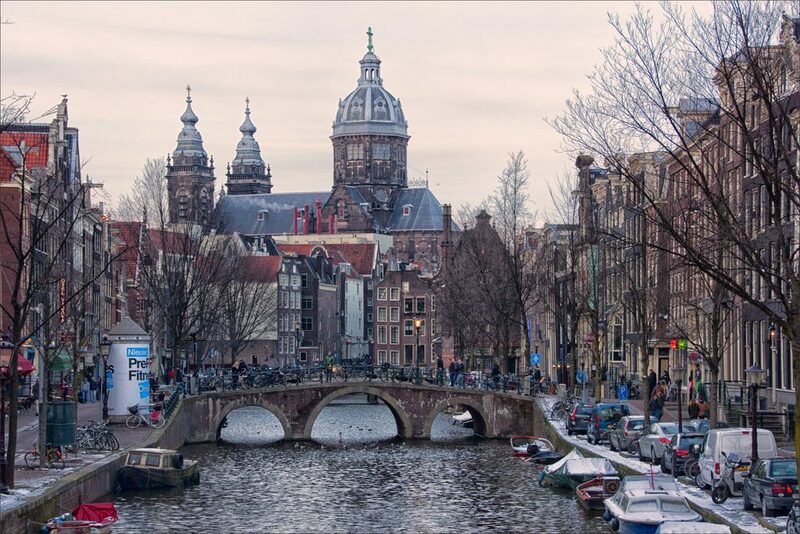 There are endless possibilities for having an amazing experience with only 48 hours in Amsterdam. Don’t worry about not being able to do it all…it only gives you more of a reason to come back! 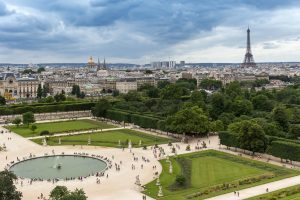 Looking to dine in Paris but aren’t too familiar with the area? Have no fear! 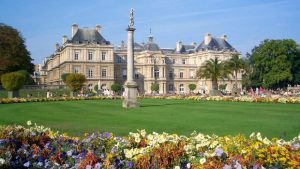 We have compiled a list of great restaurants around Paris ranging in all sorts of cuisines and price ranges. 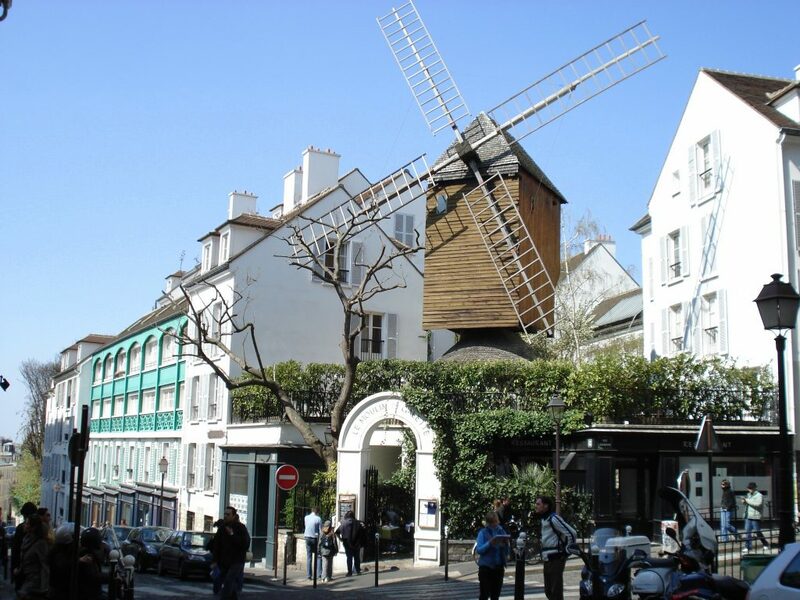 Le Moulin de la Galette is a lovely restaurant in Paris situated in a historic old mill. Here, you will find great classics of French cuisine, based only on fresh and seasonal produce. The restaurant is expensive but worth every penny. 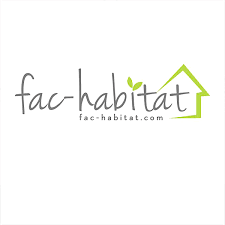 The staff is very kind and eager to answer any questions that might arise. This restaurant accepts reservations so I highly recommend making one before you go! If the weather permits, dining outside on their terrace is a charming way to enjoy the afternoon in Paris. Ok, if you are looking for authentic Italia n pasta this is the place! Nestled on a calm street corner right around the block from Moulin Rouge, you will stumble upon Pink Mamma. This restaurant belongs to the Big Mamma group. 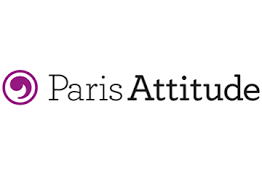 The Big Momma group owns trattoria style restaurants throughout the city of Paris. You can’t make reservations at any, and they are only open from 12-2pm and 6:45-11:30pm each day, so if you want to try it out I suggest you head there about an hour to 30 minutes before opening hours in order to reserve your place in the inevitable line that forms around their door. The restaurant has very tasteful yet trendy décor which really helps set the ambiance. Le Babalou is known for their fabulous Italian pizzas (also a hot spot for locals). 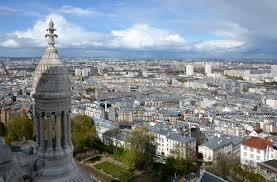 This restaurant can be found right at the foot of the Sacre-Coeur – great for a pre or post meal. The menu offers elaborate and seasonal Italian pizzas, but also serves fresh pasta, a range of cheeses, cuts of delicious Italian charcuterie accompanied by a fantastic dessert menu (we recommend the tiramisu!) The dining space feels comfortable with tasteful patterned wallpaper. There is limited outside seating but it is available if you arrive at the right time! 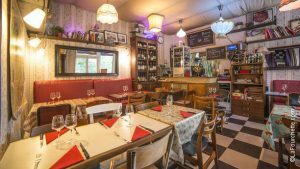 Le Chamarré Montmartre is one of the best restaurants in Paris for traditional gastronomic French cuisine. The chef, Antoine Heerah is well-known for providing signature creations that include roasted cod, pan-fried cuttlefish with anchovies and garlic cream, crispy tandoori scallops with celery mousseline, and rack of suckling pig with red cabbage and polenta. For seating, you have the option to dine inside or on the tastefully decorated terrace outside. If you are looking for a classy yet intimate culinary experience, this is the restaurant for you! 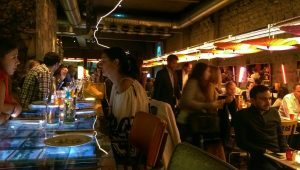 If you are looking for “cool” restaurants in Paris, Miss Kō is where you need to be. Miss Kô offers it all under the guise of an offbeat, after-dark Tokyo atmosphere, with its large and colorful murals mimicking Japanese prints, its street-food, and open-style kitchens. The menu is eclectic and features primarily Asian cuisine. 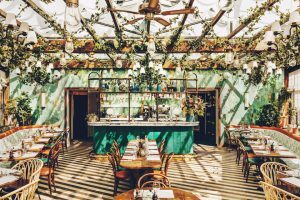 This restaurant is a little untraditional or maybe “out-of-the-box” but very chic none the less! 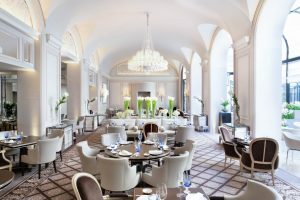 L’orangerie is located within the four seasons hotel and while many might fear the final bill, it is absolutely 100% worth it. 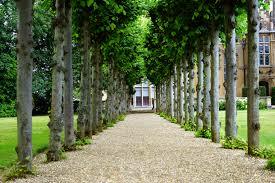 Here you will find an ambiance of warmth, competence, and informality – but with many of the trappings of formality. The food is outstandingly delicious and creatively presented. The is staff genuine and educated, elevating the experience to new levels! L’orangerie thinks out each detail, down to the bread and butter. So if you are looking for an exquisite dining experience in Paris, this is the restaurant for you! Ramen Bowl is a Japanese style restaurant in Paris that incorporates the classic Japanese culture with modern times. The decor feels young and trendy as you walk through and look at the cool art displayed on the walls. The kitchen is open, so if you are curious one, you have the opportunity to watch how the chef prepares multiple dishes from the menu. At Ramen Bowl, they are most commonly known for their famous broths. The Loire Valley Vineyards are rich in history and French culture. The valley falls in the middle of the Loire river in central France. 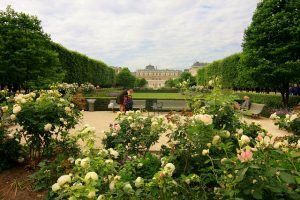 To the French, Loire valley is regarded as “le jardin du France” (garden of France) because of the abundance of vineyards, fruit orchards and fields of crops that decorate the river bed. the 5th century that the region became popular for wine production. Over the centuries that followed, the influence of monks around was a major factor in developing various vineyards and planting more varietals of grapes. The monks played a vital role in producing everything from the vines to the wines and because they were so familiar with the region they knew the most effective ways to communicate, which was crucial in that point of time. 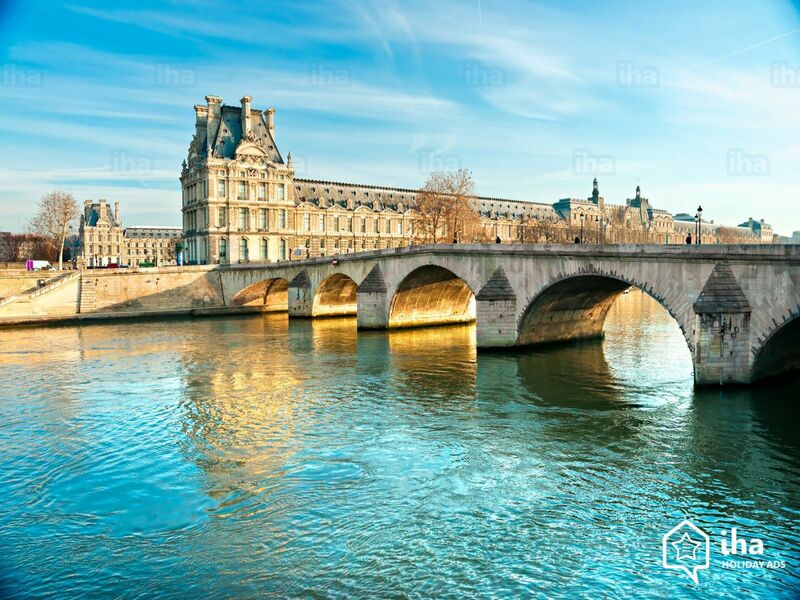 In general, traveling along roads in France at this time was considered dangerous, many traveled along the Loire River because it was the safest option. This method of traveling also helped promote the region. Loire valley vineyards continued to grow and prosper until the year 1709, when a harsh winter hit the region and decimated much of its production. Following this, the French Revolution further prevented the Loire Region from growth. As the war concluded and France began to reemerge into society, winemakers in the Loire valley began to focus solely on quality. This commitment to producing nothing but the best has allowed for the region to create very famous appellations, which were given recognition in the year 1936. Today it is known as “Appellations d’Origine Contrôlée”.Loire valley vineyards between Sully-sur-Loire and Chalonees-sur-Loire were finally classed as a UNESCO World Heritage Site in the year 2000. Some popular wine varietals that come from this region include chenin blanc, sauvignon blanc, cabernet franc, gamay, melon de bourgogne (muscadet) and pinot noir! Bouvet Ladubay is one of the most vistited vineyards in the Saumur region of Loire valley. Here they produce sparkling wines and over the past decades have received over 500 awards for their production, which is a testament to their consistent production of excellent quality wines each and every year. The winery welcomes its visitors onto almost 5 miles of vineyards and cellars in which they are able to venture out and explore. At the end of the visit, you can enjoy a tasting of the Bouvet Ladubay brut de Loire collection which will not disappoint. 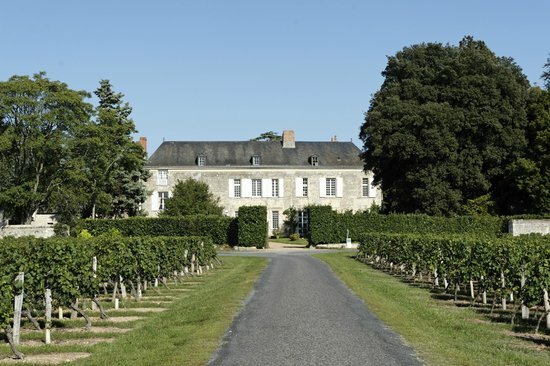 Another winery worth checking out is Chateau de Miniére. 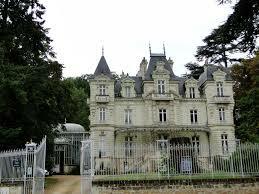 It is a beautiful estate that resides in the heart of the “Val de Loire” which is apart of the UNESCO World heritage. Originally built in the 17th century, today the property stretches over 44 acres of vineyards in districts with various appellations. An interesting fact about this estate is woman have always been in charge of production. A tradition that is still observed today, with Kathleen Van den Berghe as the current winemaker. Kathleen not only upholds the female tradition but her commitment to preserving the environment is also a practice rooted in the history of the estate. Chateau de Miniére produces a special wine from old vines that are known as “Vignes Centenaires”. In addition, they also produce a great selection of sparkling wines, reds, and rosés. Domain Sauvète is also a winery worth your while. 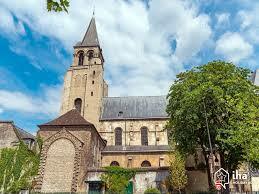 It is located in Monthou-sur-Cher which is resides in the Touraine region of Loire valley. If you are someone who has a distinct admiration for nature and its beauty, this is definitely the winery for you. 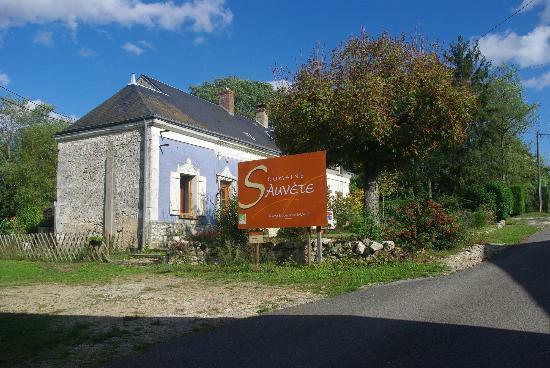 Domaine Sauvète is family owned and operated, and has been for four generations from the same family whose mission is to produce very natural and organic wines. They grow a broad spectrum of varietals which enables their wines to have a lot of style and flavor. There are lots of activities to do at this winery other than tasting the wines, so if you have young ones with you definitely keep this one in mind!